The Websites and Domains tab is the default page for administering your website and is used to create and modify FTP accounts, DNS settings, Aliases and Subdomains. e.g. 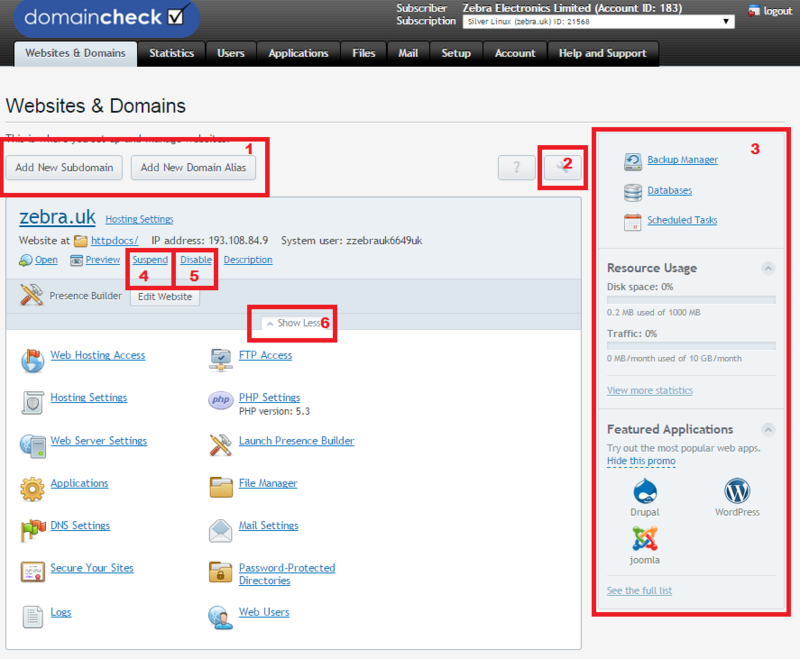 you want to keep the website with Domaincheck but transfer email to another provider or vice versa.